Synopsis- Damien McAllister is a man on the brink. Spending long, hard days on a farm he has no affection for, and nights ignoring the criticisms of his mother, Damien can no longer remember what he’s living for. But in a small town like Wattle Creek, there are few people to turn to – and Damien learned long ago to keep his problems to himself. Until Jacqueline Havelock, a young psychologist escaping her own issues, arrives fresh from the city and makes Damien question everything he has known about himself…also igniting a spark in his lonely heart. Soon Damien is daring to ask for more than an ordinary life, and can glimpse the possibility of happiness. Will this accidental farmer dare to fulfil the long-forgotten legacy of his father and find peace in the arms of the doctor? Or will the ghosts of their pasts threaten the fragile new lives they’ve just begun to build? Review- Although this book turned up unexpectedly for review, i was excited to review it as i’ve become a big fan of rural lit. I also share the same profession as the protagonist, Jacqueline Havelock, a young psychologist. Jacqueline moves to Wattle Creek for a twelve month contract as a private psychologist in the local medical practice. She is immediately intrigued by one of her first patients, Damien a shy farmer with depression. Jacqueline works hard to fight the barriers of people seeking professional help in this rural town and develops a close friendship with the elderly widow Ethel who lives across the road and takes on Jacqueline as a project to infiltrate her in the town. Unfortunately I did have some issues with the plot in this story. It was a little slow, I know it was character-driven, but I didn’t really feel like I ever knew Jacqueline very well, though Damien seemed well developed. But the biggest issue for me (and maybe I’m a little biased here on this area!) was Jacqueline’s role as a psychologist. She had some serious boundary issues and some of her behaviour was quite unethical. One major no, no, that is drummed into psych students throughout their 6 years or so of training is to NEVER have a sexual relationship with a client. Although Jacqueline and Damien’s relationship didn’t become physically intimate until therapy was finished, she certainly crossed the boundaries when she was his psychologist. Firstly, she turned up at his home with his Aunt when he missed his second or third appointment= breach of confidentiality and not within her role as a private psych. Then telling him that she is not just his psychologist, but also his friend=also a no no. She also asked locals about his personal life= need I say no, no? They began to develop a friendship where it was obvious that they were both attracted to each other, yet she still encouraged him to come and see her professionally. This made it difficult for me as a reader to be vested in the romantic relationship between these two characters. The reason there shouldn’t be a personal relationship between client and therapist is because the therapist is in a position of authority and the client is vulnerable. There is a clear power imbalance. The therapeutic relationship is emotionally intimate and the therapist’s role is to provide an environment of trust and safety. In some ways I felt Damien was manipulated because of Jacqueline’s feelings for him and I don’t think it was really clear how he felt about her separate to how she helped him professionally. Maybe I’m harping on a bit but I just found it quite unrealistic and silly that Jacqueline thought once he was ‘fixed’ she could just start dating him a week later. If memory serves me correctly, a psychologist can’t have a personal relationship with a client (preferably ever) until at least 2 years have passed. Anyway, despite all these issues I think if the ethical conflicts were captured in the story and actually used within the plot or if they had quit therapy after one session and then developed a friendship then the storyline would have been more believable. Despite my reservations about the protagonist, I did feel the author captured Damien’s emotional state early in the book quite well and also his hesitation in seeking professional help. I felt that he did grow and develop some skills to cope with the circumstances and got a better grasp on his ambitions in life. Aside from my issue with how the protagonist’s profession was managed, I did enjoy the story when I ignored these aspects and thought Wattle Creek was a sweet story about two different people relying on each other in a small country town and trying to find their place in the world. I do also have Paycheque by Fiona McCallum sitting on my TBR shelf and I intend to read this for the AWW2012 challenge- so I haven’t ruled this author out just yet. 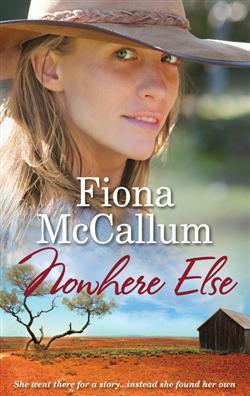 About the author: Fiona McCallum spent her childhood years on the family cereal and wool farm outside a small town on South Australia’s Eyre Peninsula. An avid reader and writer, she decided at the age of nine that she wanted to be the next Enid Blyton! She completed her final years of schooling at a private boarding school in Adelaide. Having returned to her home town to work in the local council office, Fiona maintained her literary interests by writing poetry and short stories, and studying at TAFE via correspondence. Her ability to put into words her observations of country life saw a number of her feature articles published in the now defunct newspaper SA Statewide. When her marriage ended Fiona moved to Adelaide, eventually found romance, and followed it to Melbourne. She returned to full-time study at the age of twenty-six and in 2000 graduated with a Bachelor of Arts (Professional Writing) from Deakin University. While studying, she found herself drawn to writing fiction where her keen observation of the human condition and everyday situations could be combined with her love of storytelling. After brief stints in administration, marketing, and recruitment, Fiona started Content Solutions, a consultancy providing professional writing and editing services to the corporate sector. Living with a sales and marketing executive and working on high level business proposals and tenders in Australia and overseas, gave Fiona great insight into vastly different ways of life. Fiona continued to develop her creative writing skills by reading widely and voraciously, and attending short courses. In 2001 she realised her true passion lay in writing full-length fiction, and in 2002 completed her first manuscript. 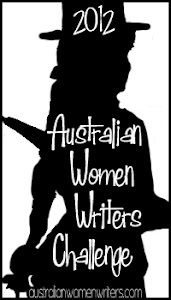 In early 2004 Fiona made the difficult decision to return to Adelaide alone in order to achieve a balanced lifestyle and develop a career as a novelist. She successfully re-established her consultancy, and now enjoys the sharp contrast between her corporate work and creative writing. 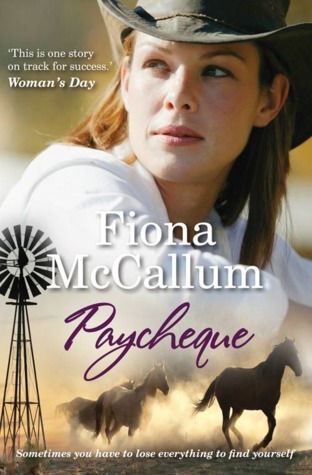 Fiona’s first novel Paycheque was released on April 1 2011 and became an ‘instant bestseller’. 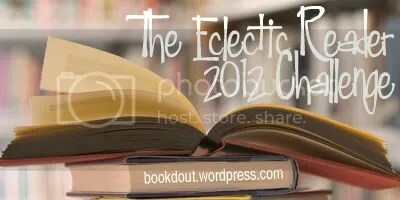 Her second novel Nowhere Else was released on Dec 1 2011 and had already outsold Paycheque by early January 2012. 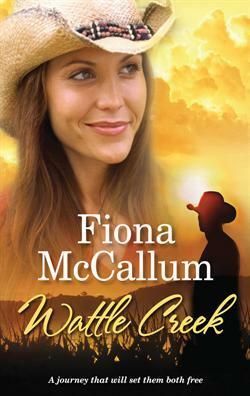 Fiona’s third novel, Wattle Creek, is due for release April 1 2012. I can understand your reservations about this story. It’s interesting that McCallum has chosen a farmer hero with depression (something that has needed attention), yet falls down in the area of the ethics of the relationship between psychologist and client. 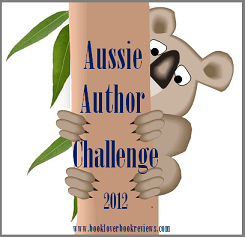 Thanks for your review, and for your participation in the Australian Women Writers 2012 challenge. Thanks Elizabeth. I agree, there was a lot of potential for the story to highlight depression among men in rural Australia and I think it did this nicely, but it was let down by the ethics of the profession. I think I have Paycheque here to read somewhere. Have had it for a while though so not sure when I will get to it! Yeah, i’ve picked up quite a few rural lit titles from my local secondhand bookshop over the past year or so and i’m hoping to get to some of the older titles this year for the AWW challenge. I’ll pop over and see the feature when its up!